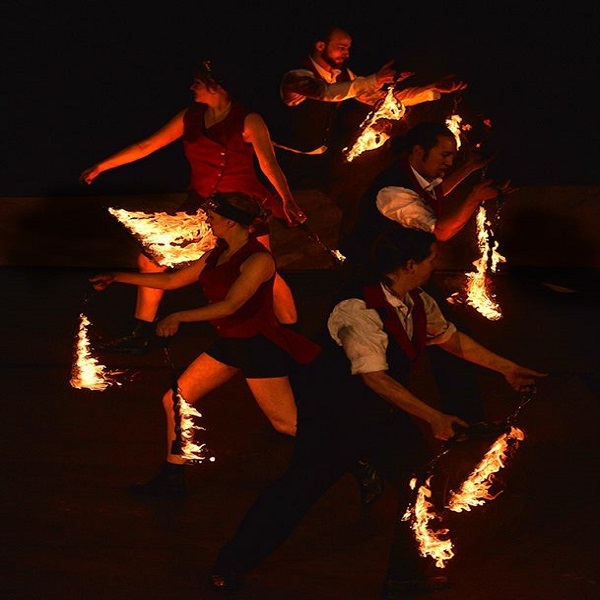 Fire performance is a visually captivating art form that is highly versatile. 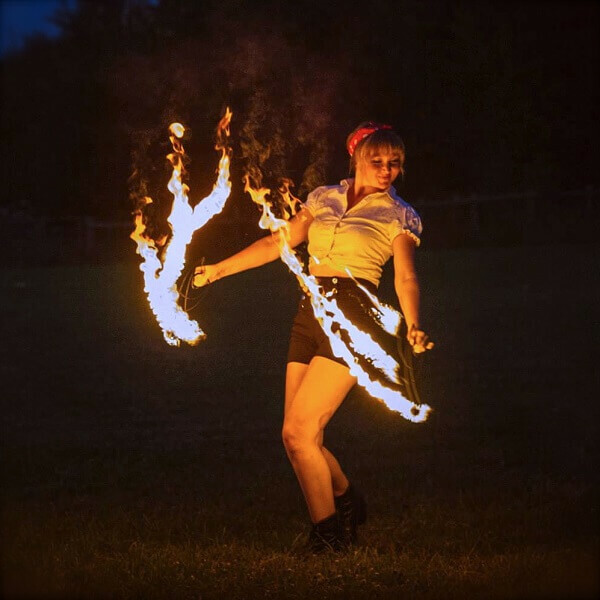 Suitable for both indoors and outdoors, the elemental allure of fire in the hands of our seasoned performers is sure to turn heads and add a sense of the spectacular to your occasion. 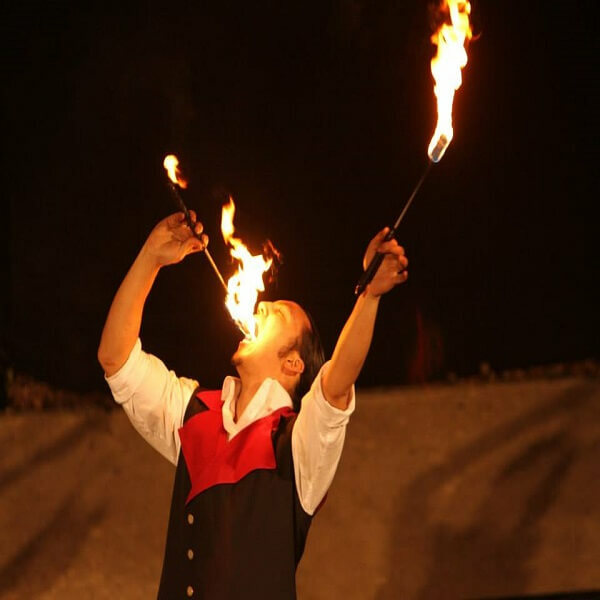 Chosen Events fire performers care about skill, presentation, flair and energy. 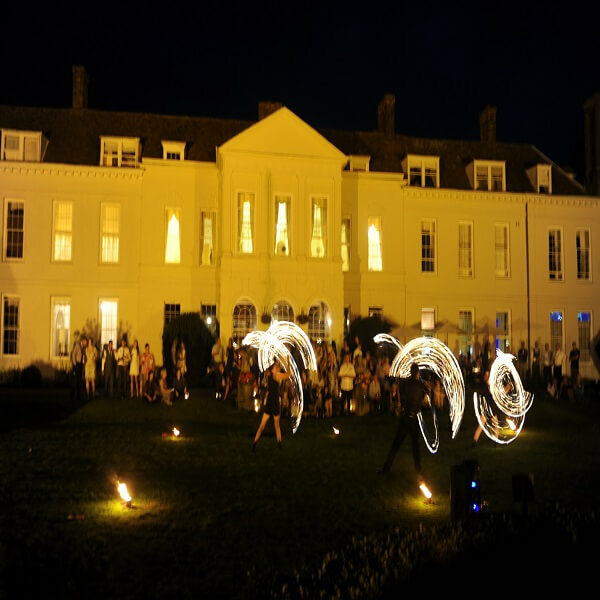 Whether choreographed, interactive or ambient, we know the difference a great performance can make, and work hard to provide the perfect fire entertainment for you. All shows can also be enhanced with the addition of our deluxe fire options, such as pyrotechnics, ember poi, fire signs and special effect fire. We can provide a PA and floor coverings if required. The ultimate fire display, combining movement, music and flames in a slick and impressive package. These set pieces showcase the best of our skills and are designed to engage the audience as the main event. 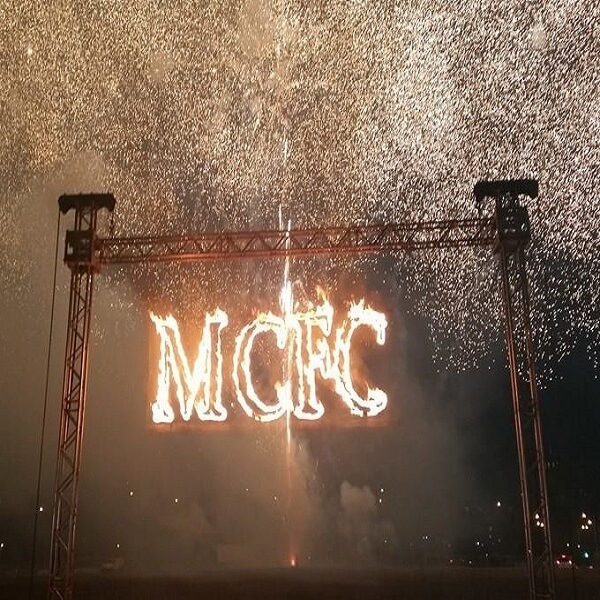 Some elements, such as theme and costume can be customised for your event, with shows also being enhanced through the addition of our special effects, such as pyrotechnics, ember poi and fire signs. These shows are about getting smiles, laughs, and applause from the audience by any means necessary. 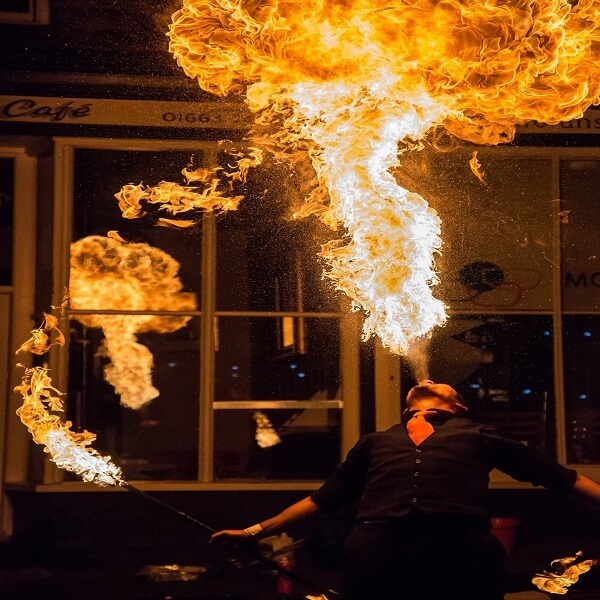 As much about the interaction between the audience and performers, as the stunts on display, our fire comperes interact with guests and make use of a wide range of props to ensure maximum enjoyment by all. 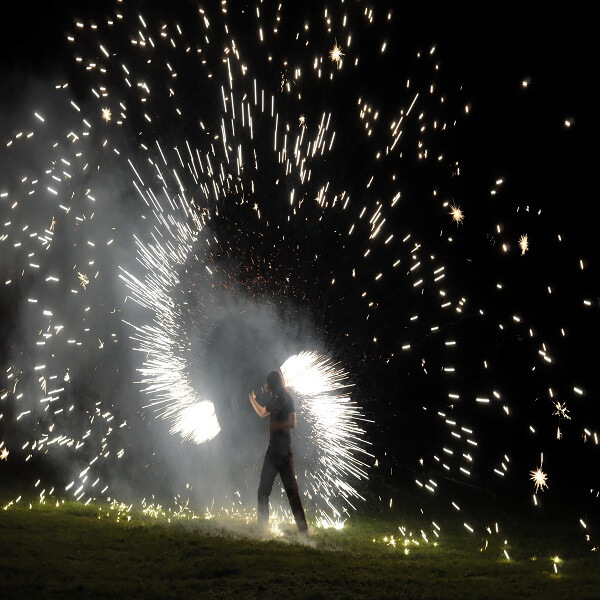 Shows can also be enhanced with the addition of our pyrotechnics, ember poi and special effects. This works wonderfully as meet and greet entertainment, or on occasions where ongoing background entertainment is required. 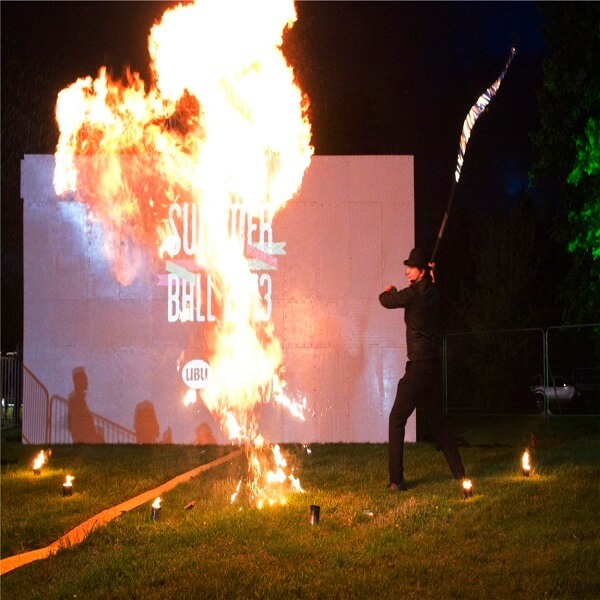 This gentle, ambient approach to fire performance is not too demanding of your guests’ attention and means they can enjoy the performance for as long as they wish. Our entertainers will perform in a free-flowing manner, using multiple props, and are sure to entrance and delight. Chosen Events deluxe effects and premium props will take your chosen fire display to the next level. Any of the specialities listed below can be combined and added to any of our shows, be it choreographed or freestyle. 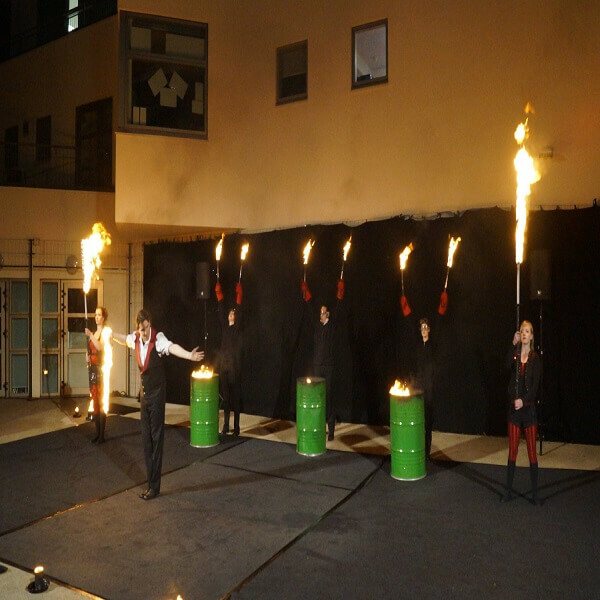 Pyrotechnics - Pyro props turn our performers into human fireworks; a spectacular set piece in any performance. We have various pyrotechnic circus props, such as staffs, poi and fans that make for a fantastic flourish at the end of a show or event. Large or small, our pyrotechnics are suitable for indoor use, and we are also providing stage pyrotechnics. Coal Performance - Showers and trails of glowing particles that float and dance in the air around the performer; a rare effect with a sublime beauty, and something that your guests are unlikely to have ever seen before. Fire Signs/Sculptures - Further celebrate any occasion with a special fire sign or sculpture, designed to your specification. These can be ignited during any of our shows, or at a point during your event as a separate piece. Special Effects - You think you know fire? Think again. 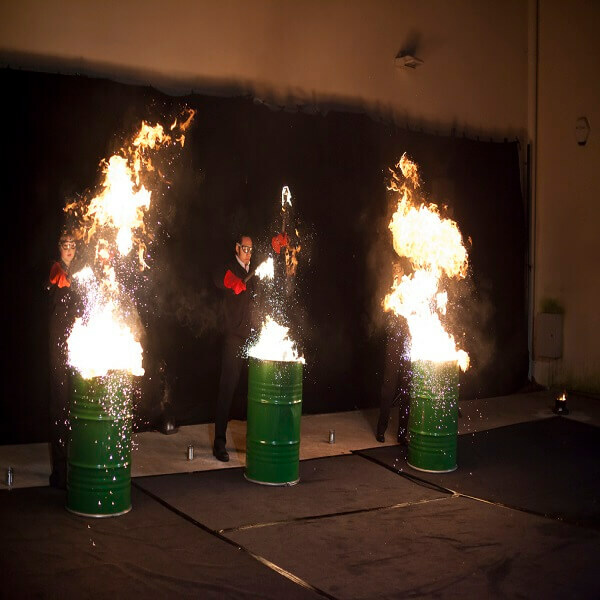 Our fire performance can be turned up to eleven with the addition of more sparks, fireballs and coloured flame. PLEASE NOTE: We recommend a minimum of 2 performers or more for the best performances. Music can be provided but is NOT supplied as standard. Please specify if music is required when you make your enquiry. 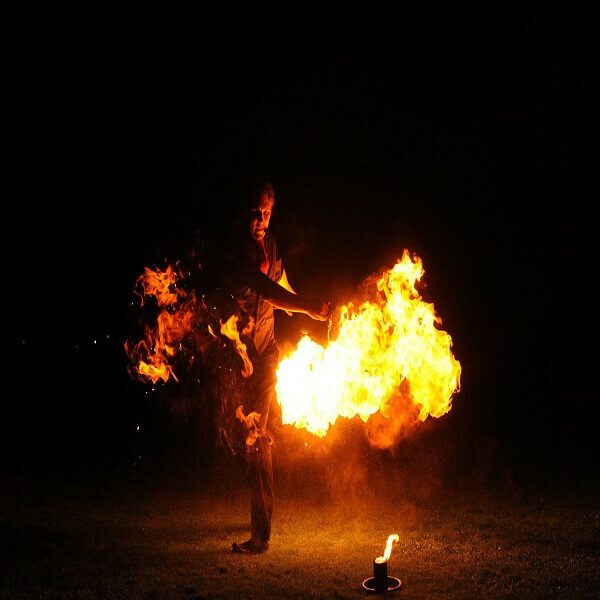 Not all fire performers perform all disciplines (e.g. not all performers breathe fire). Please specify which types of performance you require when making your enquiry. If your venue is lacking in any of these criteria, please get in contact as we may still be able to perform by restricting the type of acts available. All venues are different, for this reason, we may require photos of the performance area or in some cases a site visit to assess the suitability of the venue. Ambient and Freestyle Performance - 3 x 30 minutes sets to be taken within a 3 hour period. Choreographed Stage Performance - 7 -12 minutes depending on the show booked.